As you teach this curriculum you will inspire children to develop a closer relationship with Jesus. We strongly encourage you to have a plan in place for those moments when a child's heart is prompted towards Salvation and Water Baptism. 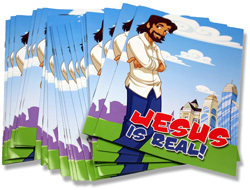 This booklet was designed as a wonderful teaching tool to be used when a child is seeking to know more about accepting Jesus as their Savior. The Jesus Is Real Salvation Booklet explains in detail the steps to accepting Jesus as Savior, water baptism, and the importance of allowing the Holy Spirit to be in their daily lives once saved. 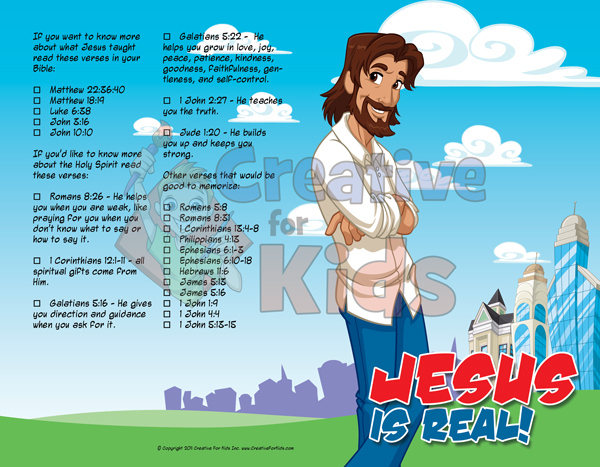 Illustrated using the Jesus In Jeans character in full color, this 8 page beeklet is informative and will capture a child’s attention as they discover that Jesus Is Real. 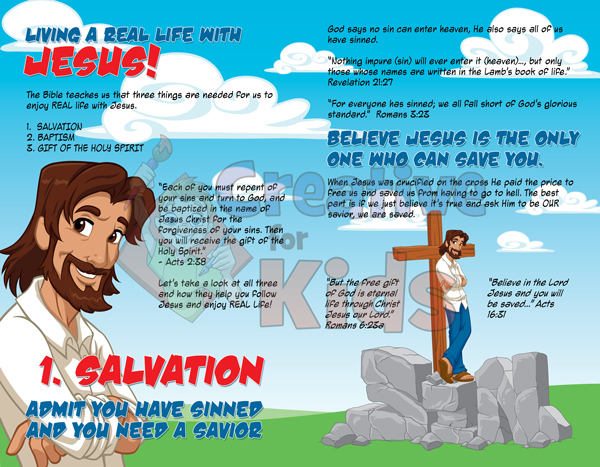 Michele Triplett, Editor of Jesus In Jeans, explains the Salvation Booklet and how it is perfect to give to children that have just accepted Jesus as their savior. offer this brochure to those who might be interested in knowing more about salvation, baptism, or the Holy Spirit.